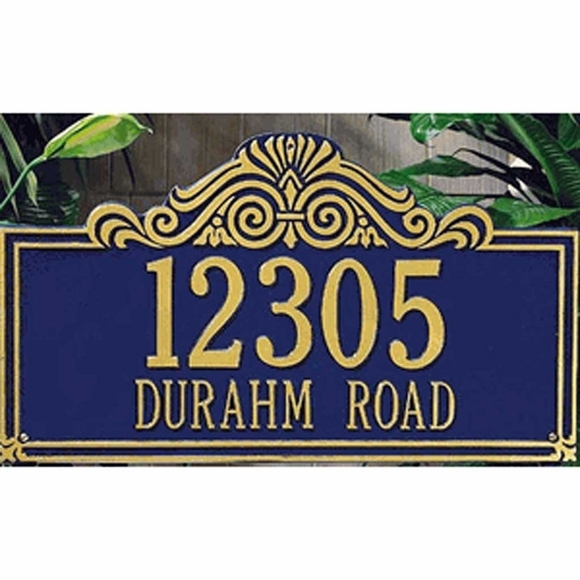 Villa Nova Wall Plaque with Your Street Address - - 16.5 x 9.5 (standard size) with two lines of text. From Whitehall Products. Line 1 holds up to 5 numerals; line 2 holds up to 17 characters. Line 1 characters are 3" high. Line 2 characters are 1.25" high. Standard size measures 16.5" x 9.5".